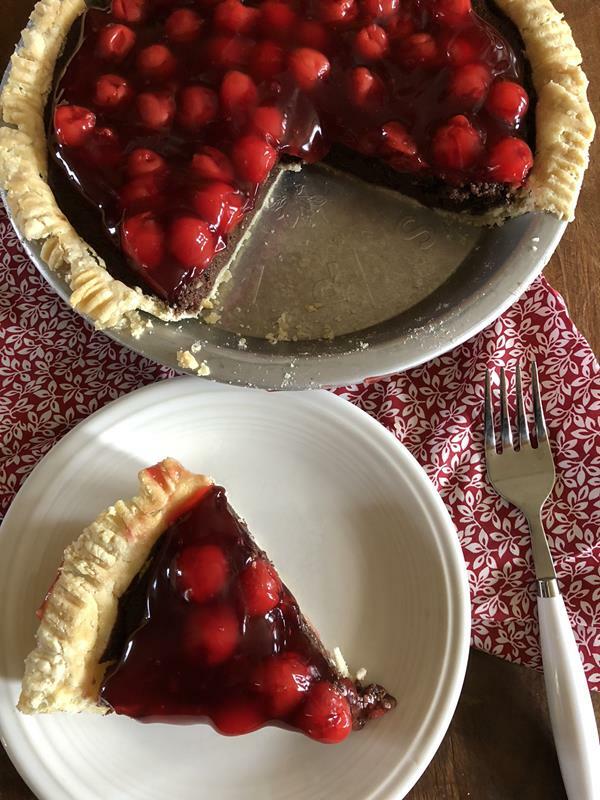 Black Forest Pie is the perfect combination of rich chocolate filling and a cherry topping. Chocolate and cherries just go together. They are a delicious combination. 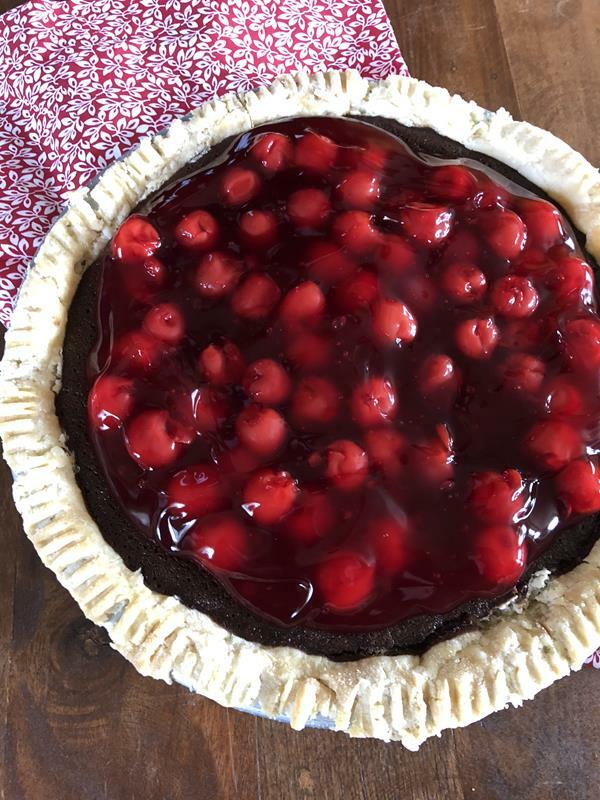 This Black Forest Pie is a perfect pie for the holidays. I have realized that not everyone loves pumpkin as much as I do. In fact, one of my kids pretty much hates pumpkin pie. I can’t imagine hating pumpkin pie because I love it, but I know not everyone shares my love of pumpkin pie. My pumpkin pie hating child however loves chocolate and loves cherries. So we often have some sort of chocolate pie or chocolate cherry dessert along with pumpkin pie for Thanksgiving. This year year it will probably be this pie. It is perfect for those that love chocolate pie. 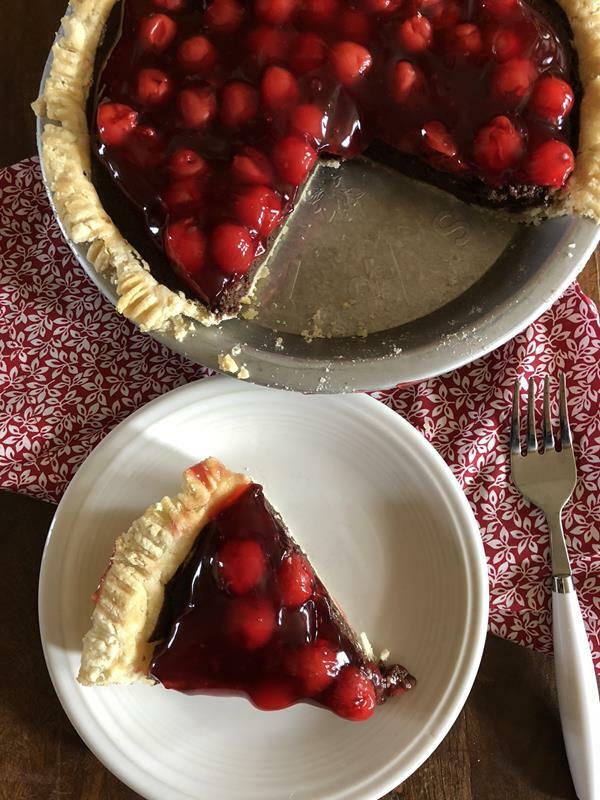 This Black Forest Pie recipe is based on an old Taste of Home recipe. However, we didn’t think it had enough chocolate filling. So I adjusted the recipe and made the filling thicker. It made it better. The chocolate to cherry ratio is perfect. I actually had trouble getting pictures of this pie last week because my family wanted to eat it. Yes, it is that good. I used my favorite gluten free pie crust recipe for the crust. If you are not gluten free use your favorite pie crust or pie crust recipe. 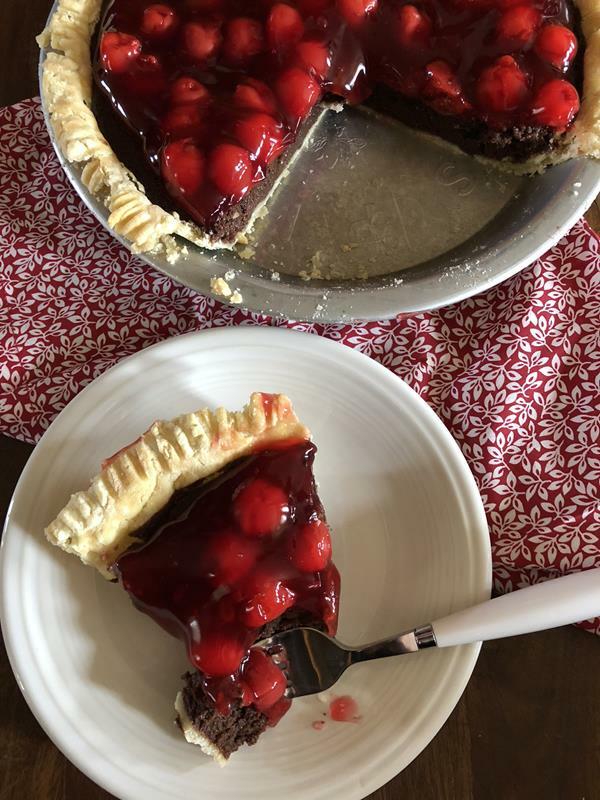 Easy and delicious chocolate cherry pie! Spread cherry filling over chocolate pie. This looks amazing and can I just say, I totally agree with your child who does not love pumpkin pie. Apparently I can even make a good pumpkin pie according to my husband who loves them. I don’t mind pumpkin food if it doesn’t have that texture, I think. So muffins, bread, scones, no problem. I’m so glad there are so many other amazing pies around!